The Apple blogosphere was ablaze yesterday with reports that the ripoff artists at Xiaomi had come up with the Chinese company’s most brazen copycat product yet. 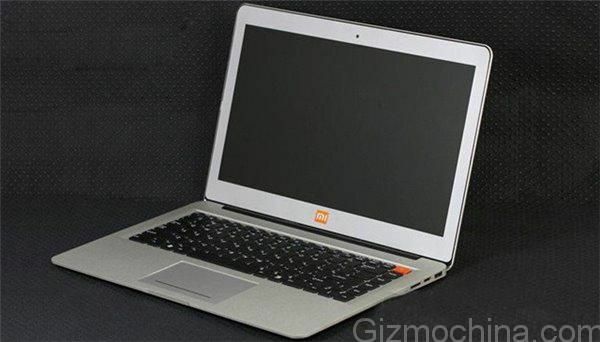 A supposedly leaked image showed a MacBook Air lookalike that was virtually indistinguishable from Cupertino’s offering with the exception of a Xiaomi logo. Well, the picture is a fake, according to a Xiaomi representative. While it’s great to hear that Apple’s intellectual property is upheld in this instance, however, it’s still less than ideal for Xiaomi for one very simple reason: just how believable the rumor was. As The Verge points out, thinly veiled copies of Apple products have become “the company’s defining narrative.” Having stolen Apple designs on so many occasions before, the suggestion that the world’s most valuable tech startup would also rip off Apple’s ultra-thin notebook was hardly a stretch. At the moment, of course, Xiaomi couldn’t care less what Western audiences think. The company just achieved a record-high valuation based on little more than Chinese sales. But it’s going to have to start caring at some point. Despite the positive buzz that exists around Xiaomi from hungry investors, the company’s business model of borrowed designs and low-cost handsets managed to eke out a meager $51 million in profits in 2013. And while China might not be enforcing patents and copyrights with the tenacity seen elsewhere, attempts to expand Xiaomi into new markets in order to continue growing are already proving tricky. Lucrative potential market India recently blocked the company from selling, assembling, importing and advertising its smartphones in the country after noticing that Xiaomi infringed on multiple patents held by Ericsson. Xiaomi might not have been responsible for yesterday’s fake MacBook Air clone, but it would be sensible for the company to start trying to change the perception that it’s nothing more than a ripoff artist as soon as possible.